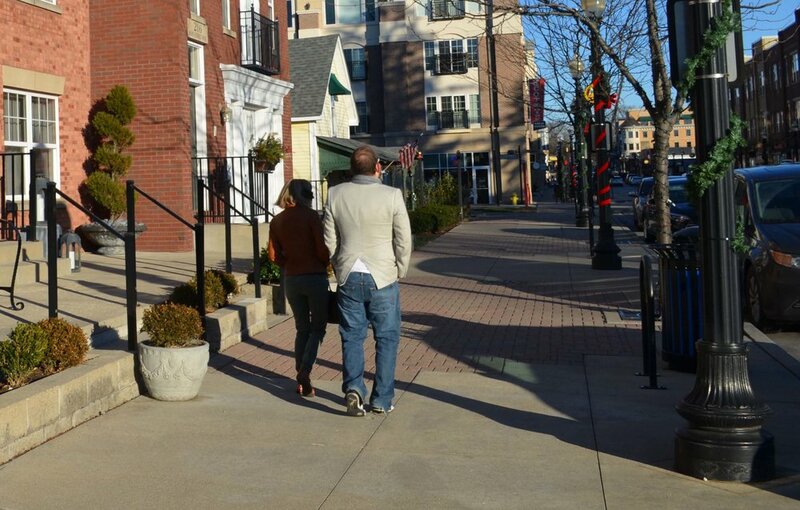 You're walking in Historic Downtown Frisco. The sidewalks are wide. There's a table front of your favorite coffee shop with plenty of room to spare. it's a pedestrian-friendly scene. Traffic flows smoothly and efficiently, Everyone has enough room. All is in harmony. Crossing the street is easy and safe. People want to be here. They come this way to enjoy the view, making plans to come back again in their leisure. It's a lovely classic Main Street USA experience. But this is no Disneyland mirage. This is the real thing. 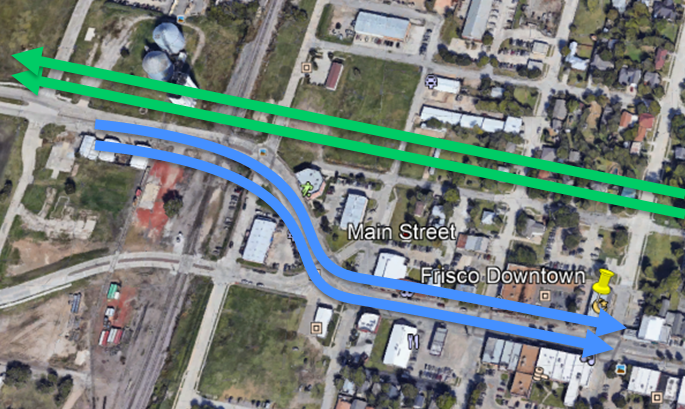 it's Downtown Frisco, with the wide sidewalk plan. Galleries, shops, bistros in a beautiful, pedestrian-friendly street. Trees and planters adorn both sides of the street with generous sense of space in between. There's always something fresh and new together with the historic. A first time visitor here for a soccer championship will enjoy it right along side the regulars who call it home. It's Mayberry with a twist of Santa Fe. It's Our Town. It's Frisco with an enhanced experience. It's Our Town. It's Frisco with an enhanced experience. Best of all, turn lanes are no longer needed. Their SPACE can all be given to widening the sidewalks on either side of the street. turn lanes are no longer needed. Their SPACE is given to the sidewalks! Traffic is flowing efficiently through the downtown area evenly distributed onto two one ways streets. Westbound traffic flows smoothly on Oak Street one block to the north. leaving just Eastbound on Main. Both lanes flowing in unison one way simplifies traffic, taking the stress from the equation. Pedestrians have only one traffic direction to wait for. Left turns are as easy. as right turns. No more waiting for oncoming traffic. Twice the capacity; Two lanes each direction on separate dedicated streets. Traffic signal synchronization is optimized for each direction. Getting between Preston and the Toll way is easy. Downtown is no longer a place to be avoided. Driving through town no longer feels like approaching the scene of an accident. No longer are cars funneled into a single line. No longer are the unwary forced to make the infamous right turn onto County Road. People like driving through town. It is an inviting people-friendly environment. The old historic charm is preserved with has a serious upgrade to the experience. Historic Downtown is a North Texas favorite and the pride of Frisco. As a process engineer, I look for those key factors that change the equation. Turn that key and see a cascading effect of improvements. Frisco downtown has a traffic problem that must be solved in order to create the kind of place we want it to be. As an experience designer, i know that ultimately it must about the kind of experience we create for our citizens, entrepreneurs, and visitors. Making a place that accommodates the full breadth of needs, offers comforts, and is the kind to place people just want to be, that's what will make Historic Downtown Frisco a destination. Imagine it with me. Will you? Roger Belveal - Experience Designer and Business Process engineer for more than two decades. TechXpressionist sculptor, design blogger, public speaker on technology, design, and culture.